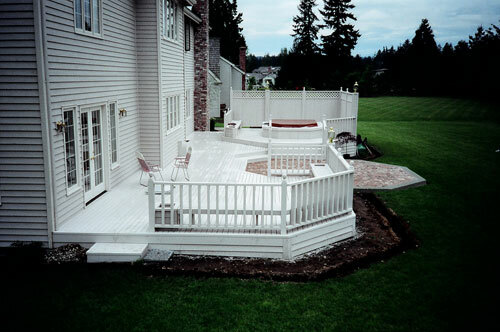 Building a deck can be a smart way for you to maintain or even improve the value of your home. We help you design a wood deck that is functional and solid, so you receive many years of use and enjoyment from your extended living space. All of our decks are built to last! All underpinning is built with pressure treated lumber and surfaces from renewable resources. We recommend several grades of cedar and hardwood decking materials. Our professionals are ready to assist you in the design, development and installation of your decking investment.